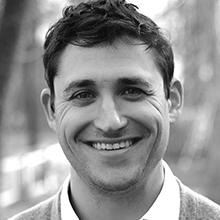 Drew Schiller co-founded Validic and serves as the CTO. At Validic, Drew leads the product and technology strategy, drives key initiatives, and works closely with senior executives at partner organizations to stay ahead of the technology curve. Drew serves on the Board of Directors for Validic, helping govern the corporate strategy, identity, and mission. Additionally, he sits on the Consumer Electronics Association (CEA) Health & Fitness Technology Board and contributes to CEA Health & Fitness subcommittees on Interoperability, Privacy and Security, and Standards. Drew is also a member of the eHealth Initiative Leadership Council and participates in the initiative’s Interoperability Workgroup. Before co-founding Validic, Drew started and managed an award-winning web development firm for eight years. He also previously founded and exited a niche dietary nutrition website for patients with celiac disease.